"National Pearl Harbor Remembrance Day - 'A day that will live in infamy!' December 7, 1941," Trump tweeted early Thursday. In one of FDR's best-known speeches following the attack, the 32nd president spoke of "a date which will live in infamy." 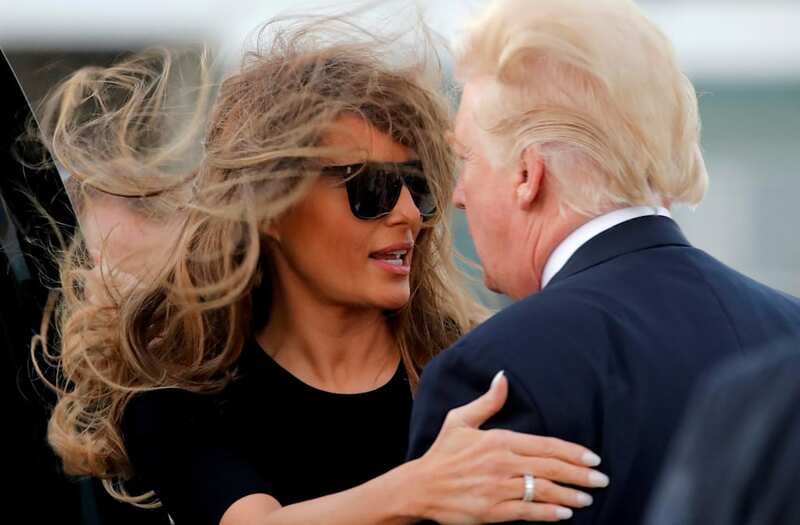 Melania Trump also made a small error in her tweet commemorating the attack. 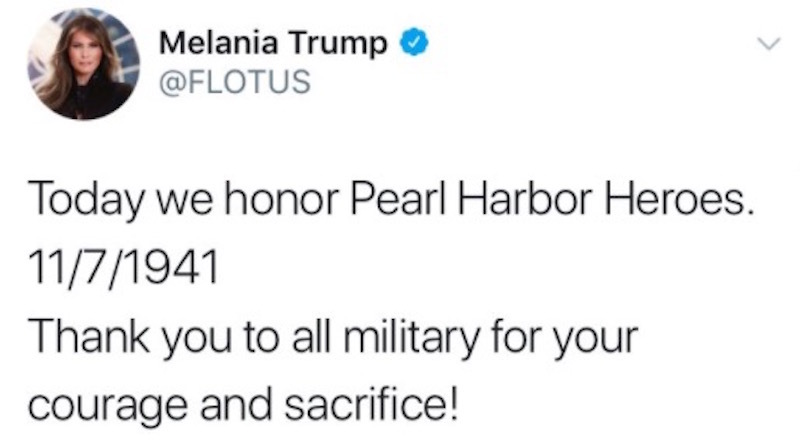 In the now-deleted tweet, the first lady wrote: "Today we honor Pearl Harbor Heroes. 11/7/1941 Thank you to all military for your courage and sacrifice!" The date detailed in her tweet suggested the attack occurred on Nov. 7, 1941, not the correct date, which is Dec. 7, 1941. After the tweet in question was removed, the first lady's account followed up with a corrected version.